Individually tailored – just the right STR.T Damper for every type of vehicle directly from the factory. 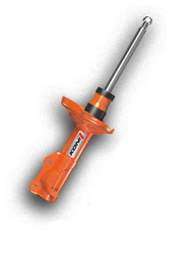 The STR.T Kit from KONI comprises KONI STR.T. shock absorbers and custom-made lowering springs from the company H&R. Both companies can look back on many years of experience in motor racing, such as in Formula 1 or the DTM. The advantages for the customer are obvious. The experience gained along with the technological developments flow directly into the companies' product development. KONI's STR.T. 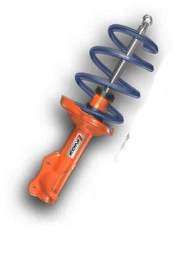 shock absorbers stand for perfect road holding, optimum handling and breathtaking centrifugal force. 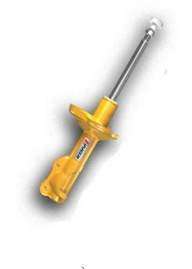 Thanks to the extremely high reaction speeds of the shock absorbers drivers can totally rely on their equipment even in precarious or demanding situations. As a result of the symbiosis between H&R's lowering springs and KONI's STR.T shocks into the STR.T Kit tuners receive a suspension kit from the factory perfectly balanced to suit their vehicle. Unpleasant pitch and rolling movements are thus reduced to a minimum. Depending on vehicle make a lowering up to 40 mm is offered. This means that nothing now stands in the way of high speed drives on curving roads and the ultimate driving pleasure. 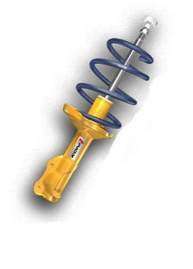 Our SPORT shocks Kit provides the ultimate shock absorber technology by KONI. This means that you can have even better roadholding, less chassis movement and performance support without limits. Show what you’ve got and experience the unique driving dynamics with optimum safety!